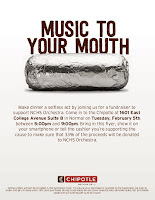 Don't forget about the Chipotle fundraiser Tuesday night (Feb. 5) at the Chipotle at 1601 E. College from 5-9 pm. 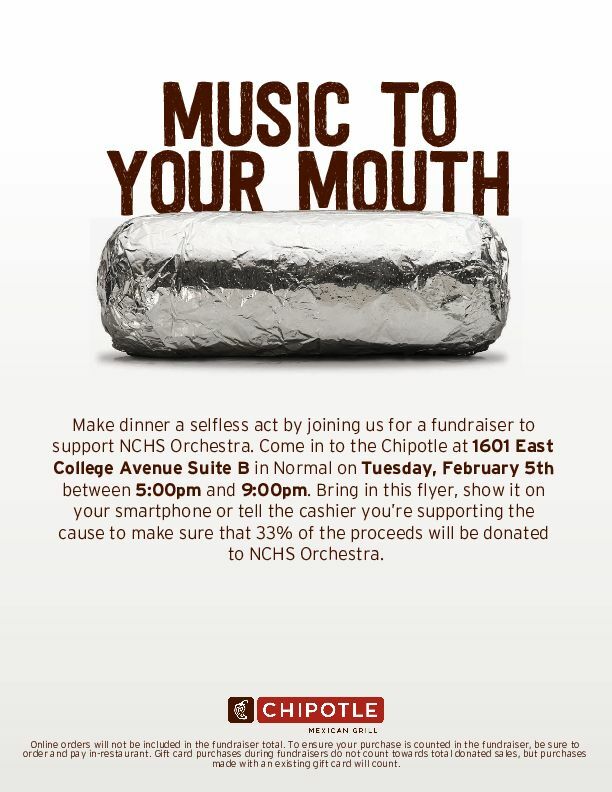 Show the flyer on your phone or simply mention that you are there for the NCHS Orchestra program. Let's pep up our Febuary with some burritos!! !